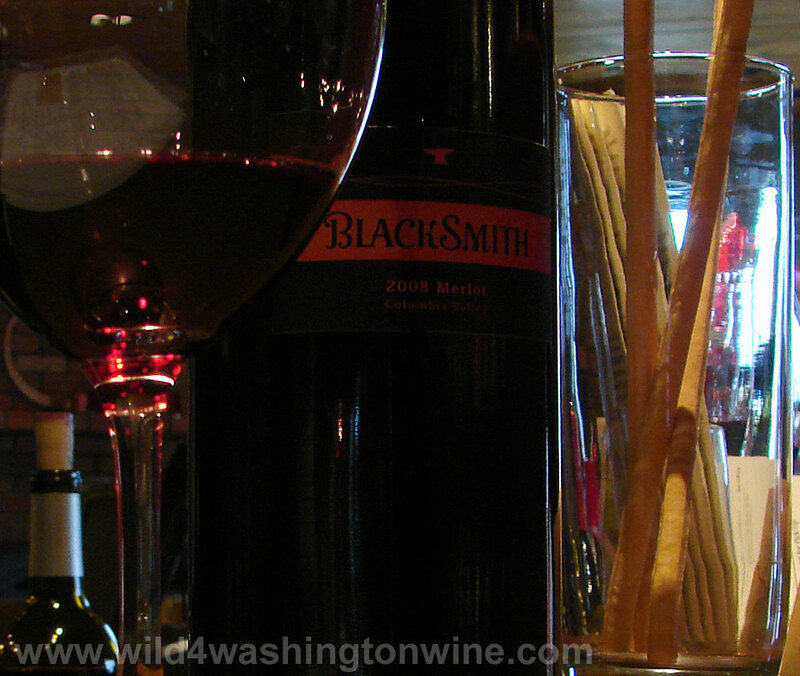 Last week I reviewed the 2009 Blacksmith Syrah by Forgeron Cellars. 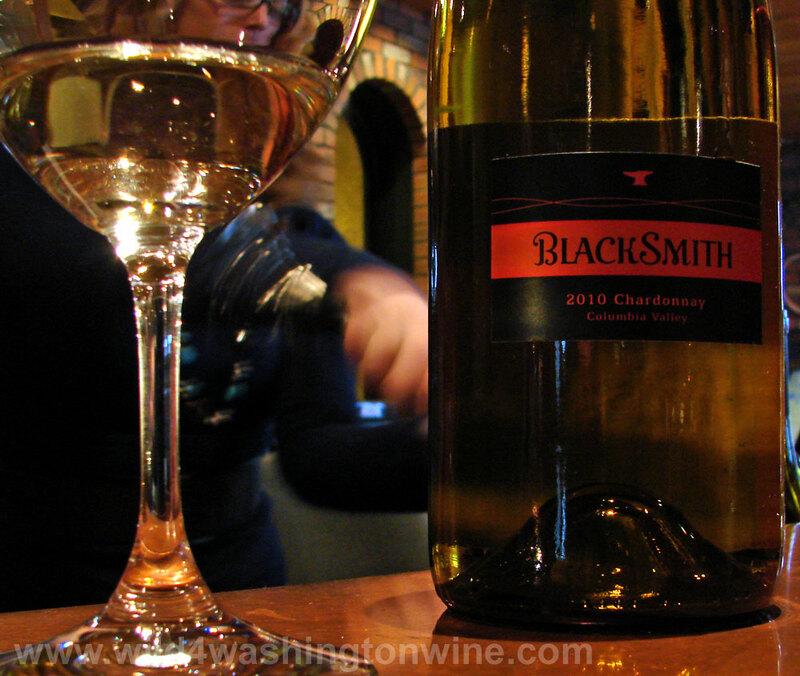 Since then, I have searched all over town for more Blacksmith Syrah, without success. Craving more bottles of that lovely Syrah, I finally emailed Marie-Eve Gilla, winemaker and co-owner of Forgeron Cellars in Walla Walla, Washington, requesting a visit with her at the winery. Marie-Eve was very gracious and agreed to meet for a wine tasting Friday morning. While Walla Walla is only an hour drive from my home, it does seem difficult for me to schedule time to make the drive to Walla Walla wine country. Desire for more Syrah erased all obstacles. Also, my friend Ben Simons agreed to go with me. Ben is a wine blogger too, his blog is at, www.vinotology.com his twitter handle is @vinotology – a great guy to go wine tasting with. Leaving an overcast Tri-Cities for a misty Walla Walla, the Friday morning drive was laden with wine conversation. Never go wine tasting alone. 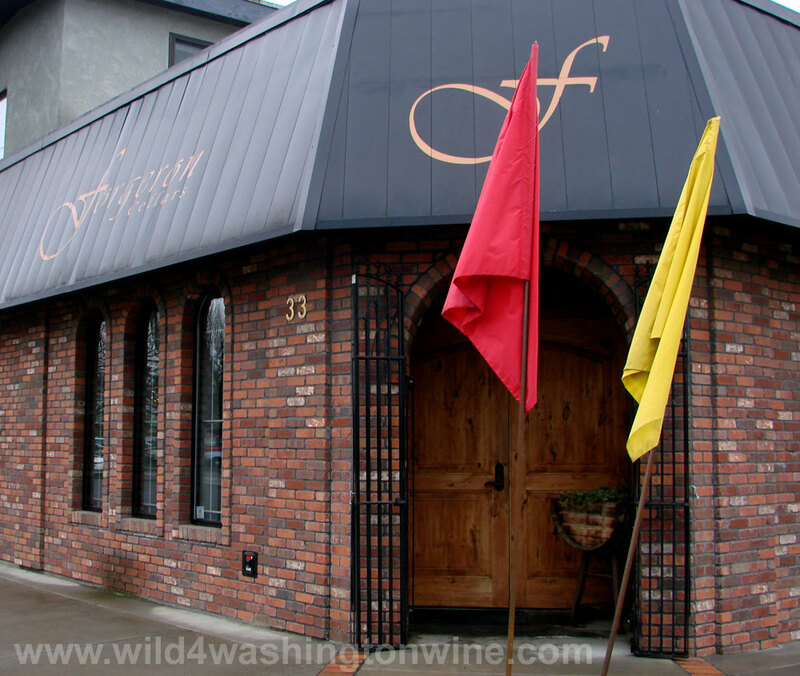 Forgeron Cellars Winery on Birch Street. It was easy to find Forgeron Cellars, they are located in downtown Walla Walla, just off 2nd avenue on Birch street. 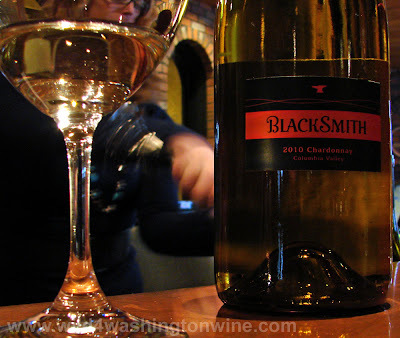 As I mentioned, the purpose of visiting Walla Walla was to purchase more Blacksmith Syrah. However, since we were at the Forgeron Cellars tasting room, we happily agreed to taste their entire line-up of Blacksmith and Forgeron wines. What a treat. 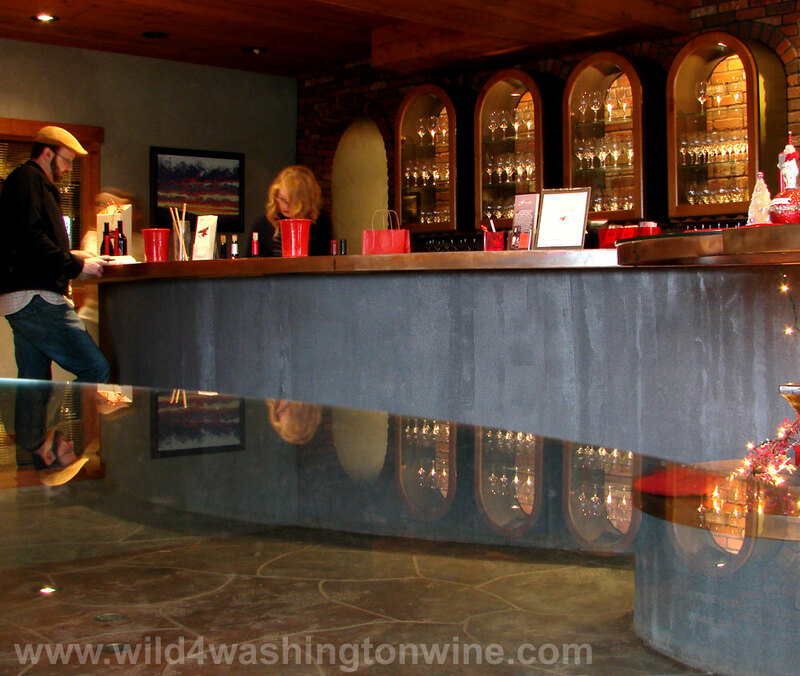 An impressive array of white, red, single vineyard and blended wines. Any of these wines are suitable for your table, your friends and family will thank you for sharing. 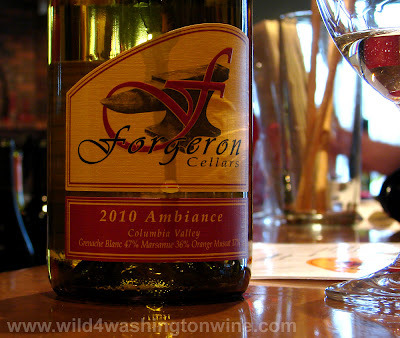 Forgeron 2010 Ambiance - very enjoyable blend. 2010 Chardonnay Vigneron Select - to be reviewed in future. 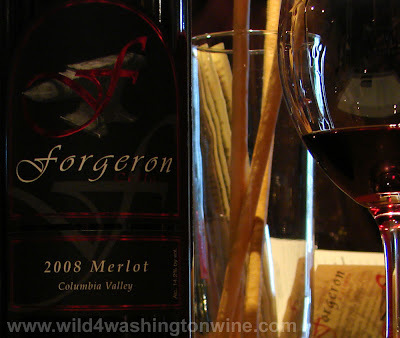 Forgeron 2008 Merlot Columbia Valley. 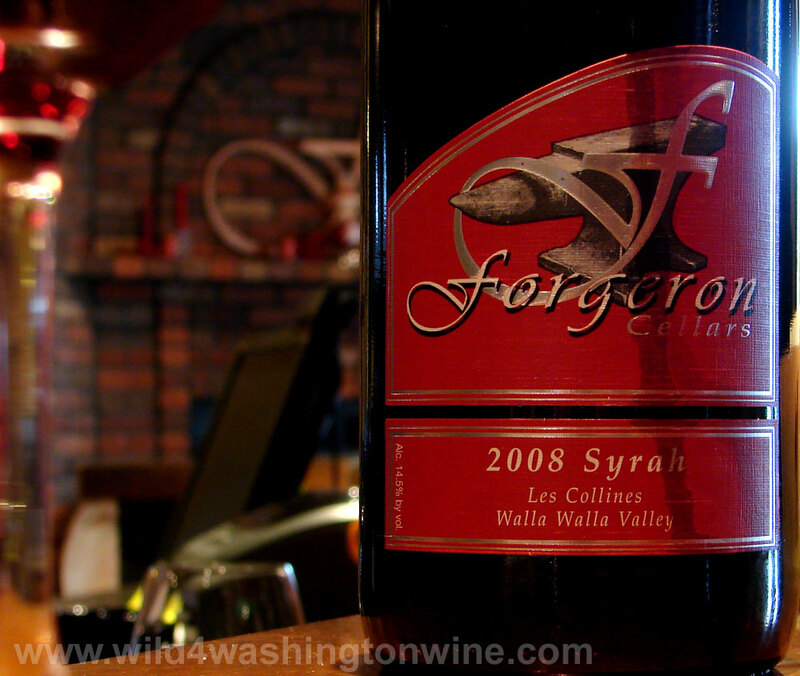 Forgeron 2008 Syrah Les Collines, Walla Walla Valley - ooh, ahh. 2007 Petit Verdot and Ben Simons - a beautiful example of P.V. 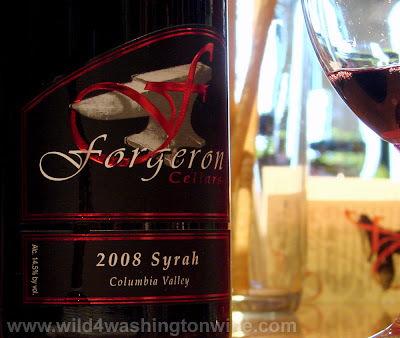 Forgeron 2008 Syrah Columbia Valley - my favorite on this visit. @wild4wawine and @vinotology wine tasting @forgeroncellars in Walla Walla. 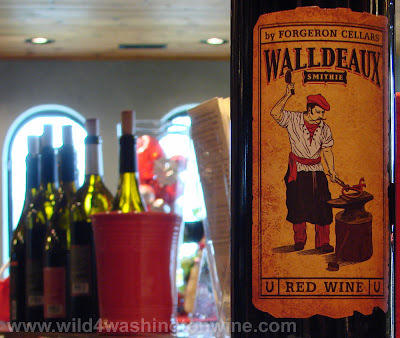 Walldeaux non-vintage red blend - will review in future. 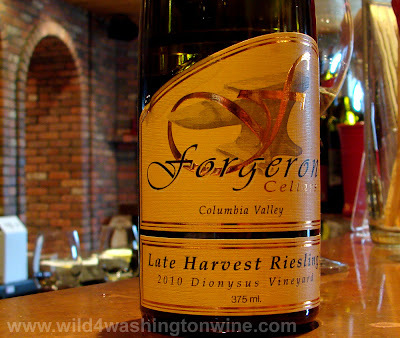 Forgeron Late Harvest Riesling 2010 Dionysus Vineyard - lovely. Winemaker Marie-Eve Gilla giving us a tour of the cellar. Marie-Eve Gilla is originally from France. 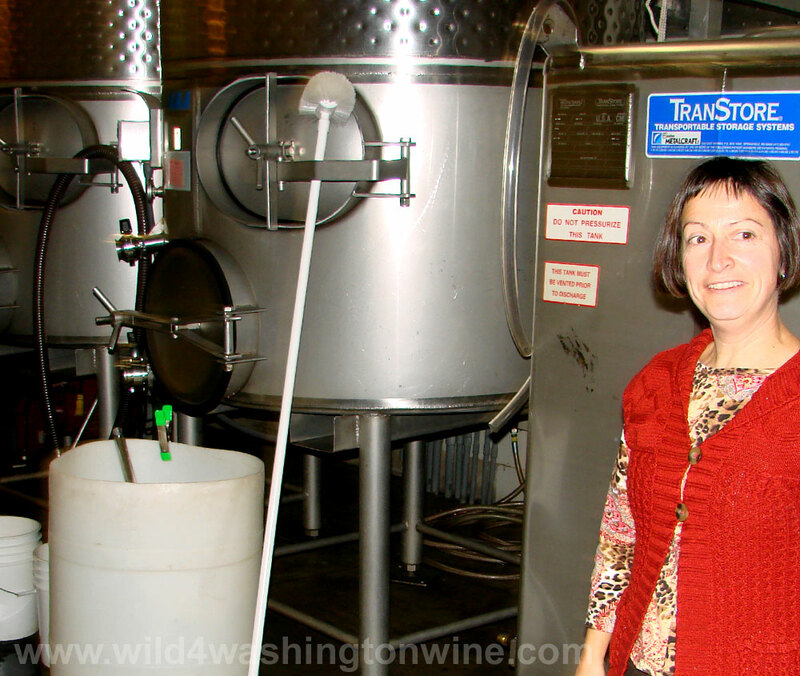 She has lived in the United States since 1991 and has resided in Walla Walla for a decade. She is married to Gilles Nicault, Director of Winemaking and Viticulture at Long Shadows Vintners where he works with some of the world's greatest Winemakers. Talk about a power couple. 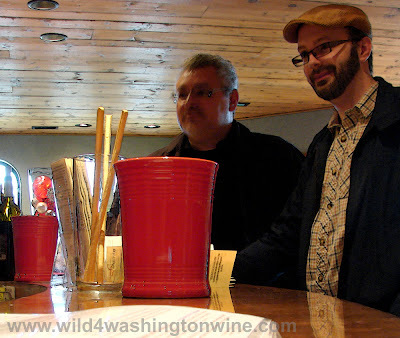 Washington State is fortunate to have such a passionate and gifted winemaker. 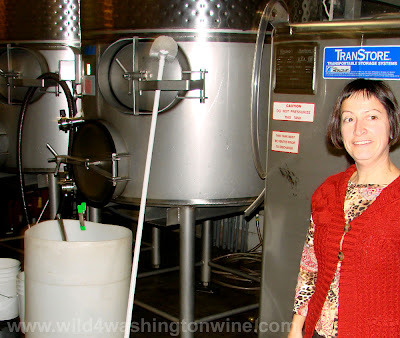 Wonderful wines are being made by Ms. Gilla. 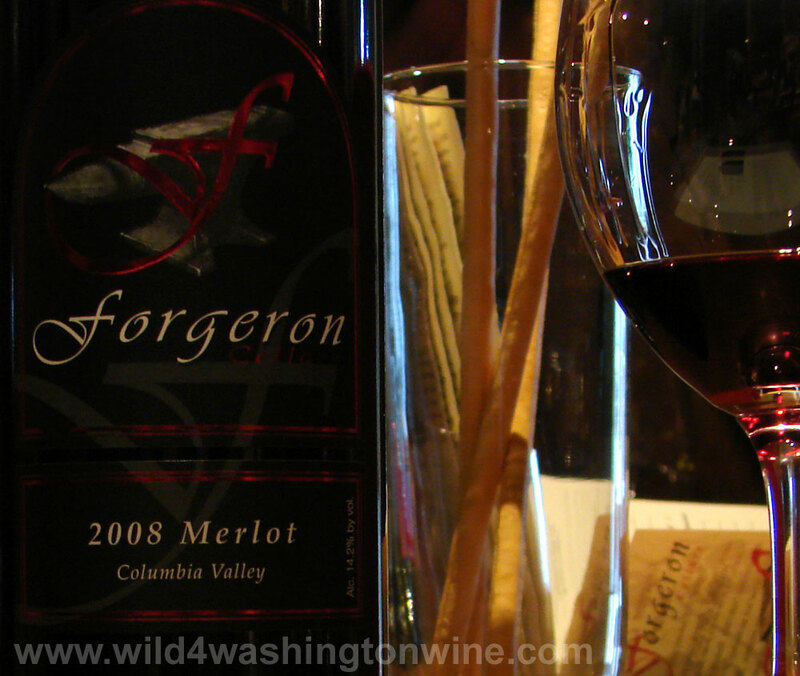 I was a fan of the Blacksmith Syrah, now I'm a fan of all of Forgeron wines and their winemaker. Thank you Marie-Eve, you and your staff showed us a lovely time, merci beaucoup. The Forgeron tasting room is open to the public from 11 am – 4 pm daily. Put them on your must visit list. *Yes, I did purchase a couple of bottles of Blacksmith Syrah, but not from the winery (the tasting room does not sell the Blacksmith Syrah). They directed us to the Wild Walla Walla Wine Woman Wine Shoppe, located just a few blocks from the winery. Ben and I had fun visiting with owner Catie at her well stocked shoppe - another must visit location when in town. 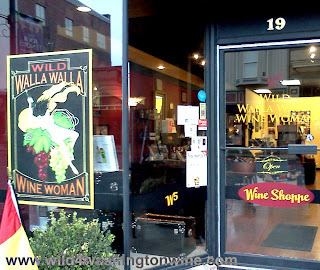 Wild Walla Walla Wine Woman Wine Shoppe. As tempting as it is to drink these delicious wines, we spit every one. This was the first of three winery visits. And I was the driver. We also drank water and took a lunch break after winery two. Be safe when you are out wine tasting. If you want to drink your wine, buy it and take it home or to your hotel room. 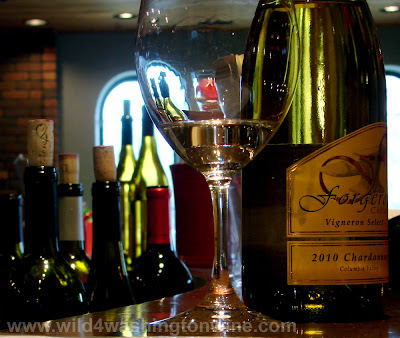 A great excuse to stay at a Walla Walla hotel or B&B and walk to the local wineries. Cheers. Hi William, it was great visiting with you and Ben. 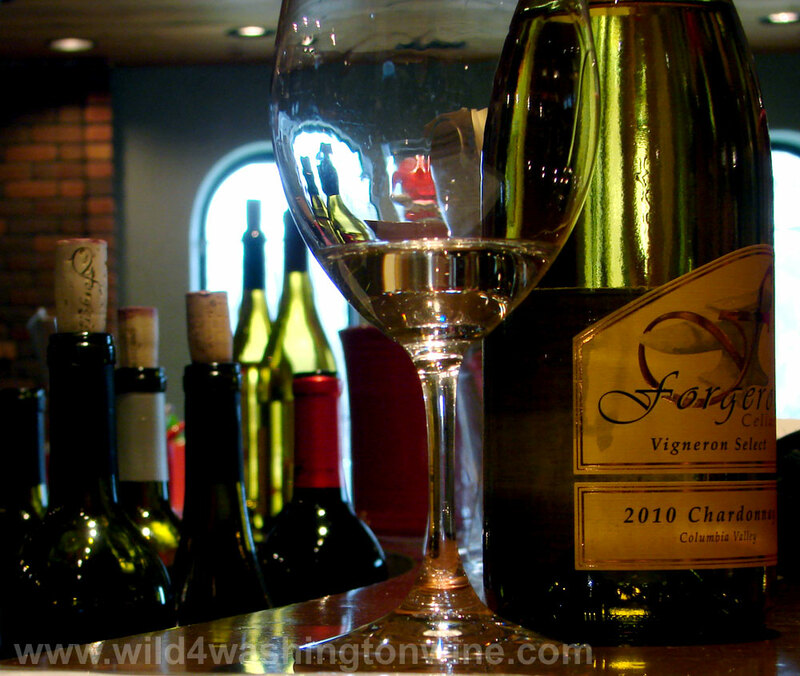 Thanks so much for dropping by the Wild Walla Walla Wine Woman and including the W5 in your article. Happy to hear you had a terrific time in Walla Walla. Catie - anyone visiting Walla Walla should stop by and visit with you. You are a pleasure to talk to, your knowledge of wine, Walla Walla history and restaurants make your shoppe a true gem. I look forward to visiting again. 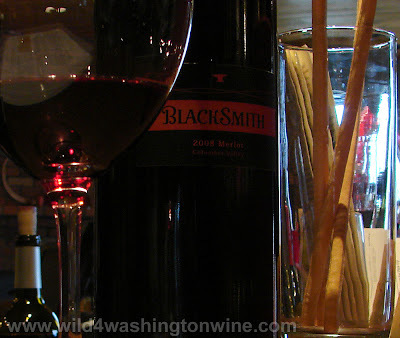 For those in SE Washington, I found more Black Smith Syrah at the Yoke's Grocery in West Richland. Cheers.